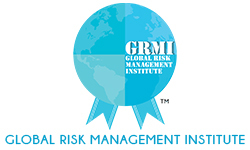 Risk Management Development Programmes at GRMI have been carved out by experienced Global Business Leaders based on their assessment of the need for continuous knowledge enhancement in order to excel in individual careers and developing successful organizations. With Risk Management gaining prominent space in all board management meetings these days, it is important that all members of an organization are trained adequately to ensure effective Risk Management in their respective roles and responsibilities. Our programmes are meant for working professionals who would benefit themselves and their organizations by honing their skills in areas of risk which are relevant in their work space. We will continue to evolve and add programmes in our RMDP suite to cater to organizational needs. Our experienced team, along with our partners, will continue to upgrade the RMDPs with the changing global trends and skills required to effectively deliver to them. Our RMDP sessions are designed more to address Training Need Analysis (‘TNA’) relating to Risk, Audit and Compliance domain, & then to work with Learning & Development teams of organizations in developing customized, longer-term programmes to drive greater business impact for the organizations.